I had the pleasure of being among the first to see Stan & Ollie, a biopic on legendary comedy duo Stan Laurel and Oliver Hardy. They became a force in the late 1920s and were a powerful comedic force for decades, becoming famous all around the world. But if you're expecting a typical drama about the height of their careers, think again. This film is interested in telling a very different story. 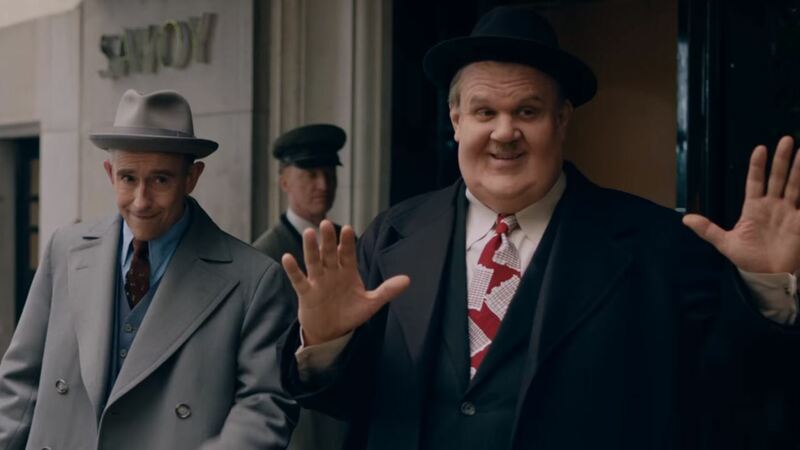 Starring Steve Coogan as Stan Laurel and an unrecognizable John C. Reilly as Oliver Hardy, the film focuses on the twilight of their careers, as they embark on one last tour of the U.K. in a bid to stay relevant. It's a tough story that explores their decades-long partnership, which as you might have guessed was full of personal ups and downs. Along for the ride as their wives are Nina Arianda and Shirley Henderson, with Danny Huston as renowned producer Hal Roach. Directed by Jon S. Baird, Stan & Ollie opens December 28th. You can check out my early review right here.